Massive day on the POS software help desk | A blog about smart POS software for independent small businesses. Ww are experiencing a massive day of calls to the help desk today with retailers doing stock takes and other EOFY tasks. We have everyone taking calls and helping in every way humanly possible. It’s days like today that test any software company dealing with small business retailers. The studio at the Tower Systems head office has been busy as we host regular online live training workshops in how to handle stocktake and end of financial year matters using our POS software in the last days of this financial year. 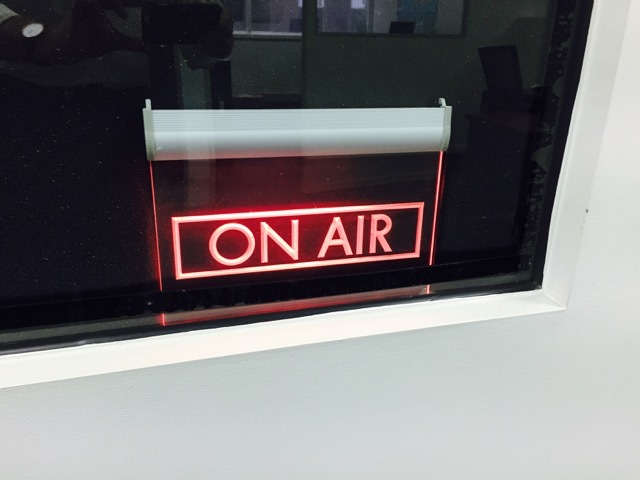 This photo is from the studio during one of our live training sessions. Having a professional studio setup helps us deliver training away from the busy help desk. It’s a valuable point of difference for us. The latest Tower Systems Specialised Software for Gift Shops is driving excellent commercial outcomes for small business gift shop retailers. Feedback on more loyalty options, more supplier integrations and more more management tools is fantastic. We are thrilled that our customers are thrilled. We are especially happy to provide gift shop owners facilities through which they are able to evolve their businesses. This is vital in today;re retail marketplace where change is the order of the day. Tower Systems has been helping newsagents using its newsagency software deal with the new bundled over the counter offers from News Corp.
Our support has included an email to all customers, comprehensive freely available advice on our Knowledge Base, one on one phone calls and individual business email engagement. 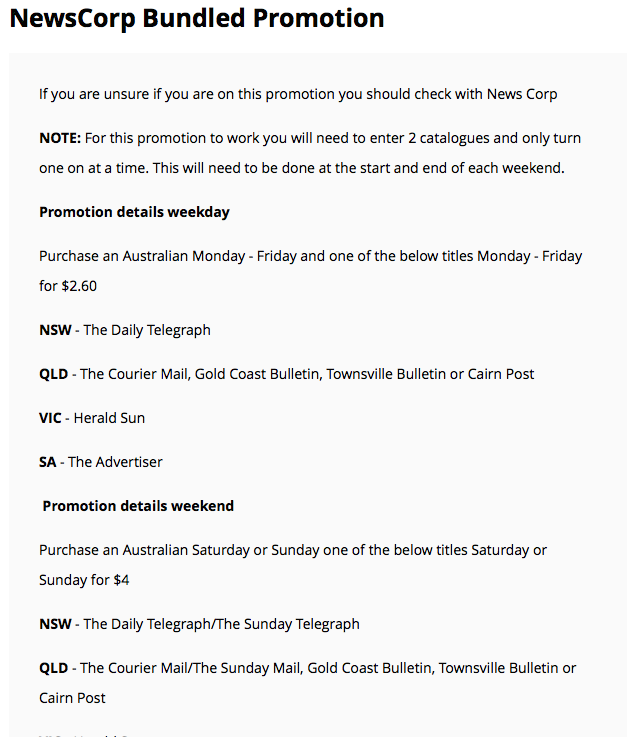 Thanks to early warning ages ago from News Corp. about the promotion we were able to fully prepare ourselves and our customer base of close to 2,000 newsagents. This is the Tower AdvantageTM in action. Keystrokes = mistake opportunities in small business retail. Our best practice advice to small business retailers is to do everything possible to cut keystrokes. This is easy with good POS software. Scan what you sell as doing it any other increases opportunities for mistakes and or employee fraud. Integrate your Eftpos terminal as double entry increases opportunities for mistakes, employee fraud and customer fraud. Receive new stock electronically as entering new stock manually opens more opportunities for supplier and or employee fraud. These three simple keystroke cutting steps alone will improve your situation. They will cut keystrokes, reduce mistakes and reduce fraud opportunities. One a year there is a focus in the media and elsewhere encouraging people to shop in small businesses. Here at Tower Systems we would like to broaden that pitch. Make every Saturday your shop small day. With people home for the weekend, shopping at local shops is easier. It puts money back into the community where you have your home. It supports where your kids are going up, will grow up or have grown up. It supports retailers of locally made products. It supports small local businesses who support local community groups and charities. It supports the narrative of the area. We at Tower Systems encourage everyone to go out and shop local this Saturday and at the very least every Saturday. Small local businesses thank you for your support. In another show of customer respect and service, Tower Systems confirms that it does not record help desk calls. We refuse to be part of the process of recording calls and keeping these for future reference. While those recording them say they do for training and coaching purposes, we think they hold them as a reference against customers in the event of a dispute. We don;t want to be part of that culture. We make notes about advice and provide feedback and advice to customers in writing by email if warranted as a result of a call. We also share links to appropriate knowledge base articles to help retailers as a follow up to a call. We don’t like our calls being recorded when we make them so we think why do it to our customers. Customers agree. 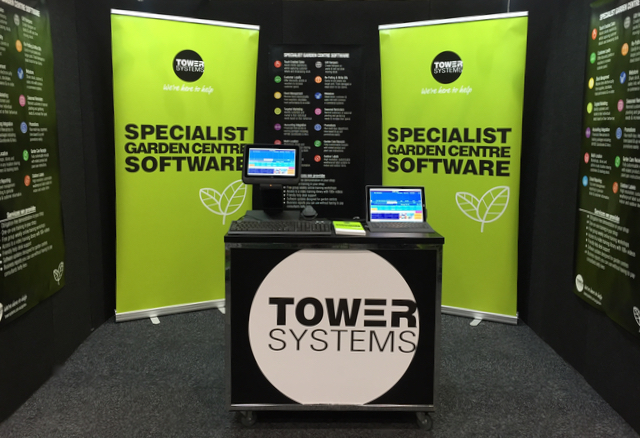 The new specialist garden centre software from Tower Systems on show this last week has generated terrific responses from garden centre owners as well as suppliers. They love the conceiving, the away from the counter selling ability, the business specific tools and much more. This is software designed for these unique and loved small local businesses, serving local communities with life enriching products. A wonderful benefit of this latest trade show contact with garden centre owners and managers is further insights to additional specialisation we can undertake in our software to serve the needs of this growing retail channel. This advice is about the best business approach to undertaking a stocktake. Please refer to other Knowledge base articles on how to actually use the software. All retailers using our POS software have access to our knowledge base. Please ensure you have the latest version of the Tower Systems Retailer POS software installed prior to undertaking a stocktake. For the process to be as easy as possible you will need a wireless network – vital for OH&S reasons. The best way to do a stocktake in your business is by using a laptop (or laptops) or tablet computer with a scanner attached. This enables you to do the stocktake live with no impact on sales and absolute integrity of your stock on hand data. While using a laptop (or laptops) or tablet computer may seem cumbersome, it is our best practice advice for speed, data integrity and the ability to address data issues you may encounter on the shop floor. It enables you to do management work to ensure completely accurate data. The alternative is to use a PDE. The challenges with this are the many different PDEs and it is challenging to be expert in all plus the PDE counts at that time and you load the data at a later time – meaning a gap in time in which sales could have been done. While PDE software is available for live to data updates, we have seen this be problematic and so we do not use it. Given the advances in technology, our best practice recommendation is either a laptop of tablet computer as either offers a better solution than a PDE. We suggest you setup a Laptop or tablet and use Team Viewer or the like to connect in and count this way. This approach means you do not need to purchase an additional software licence for the laptop. Team Viewer is easy to setup. For the physical stocktake, we suggest you approach the business aisle by aisle, counting and rearranging stock as you go. Once you have completed your first full stocktake, our advice is you engage in a rolling stocktake, doing parts of the business, through the year. The Tax Office does not require businesses with full sock control implemented to do a stocktake at the end of the financial year. They will accept data from your system if you manage stock through the year. Tower Systems is the first POS software company to deliver access to Permit to Acquire facilities integrated within its software. These facilities are in the Tower Firearms Software. Using the Permit to Acquire facilities, retailers are able to bring a structured approach to gathering and managing data as required of firearms retailers in Australia. Developed with the Firearms Registry, the PTA facilities in the Tower software can be relied upon by firearms retailers to ensure they are meeting their data collection and management obligations. Painstakingly developed in through detail, this latest compliance development by the Tower Systems team is another example of the company serving the needs of its small business customers and helping them save time in operating their businesses. Self-evidently, if small businesses were any good they would’t be small. They would be big monstrous things with massive levels of profit, employment and economic grunt. As the owner of a small business that solely serves small businesses I say Mark Latham is wrong. I know of many small businesses that are profitable and making excellent contributions economically and socially in their areas. I started Tower Systems in 1981 to serve small businesses like yours. Today we are thrilled to serve close to 3,000 independent small businesses. Our mission is to help small businesses owners run their businesses efficiently and profitably, with foresight and confidence about the right business decisions. Our assistance goes way beyond the software itself. 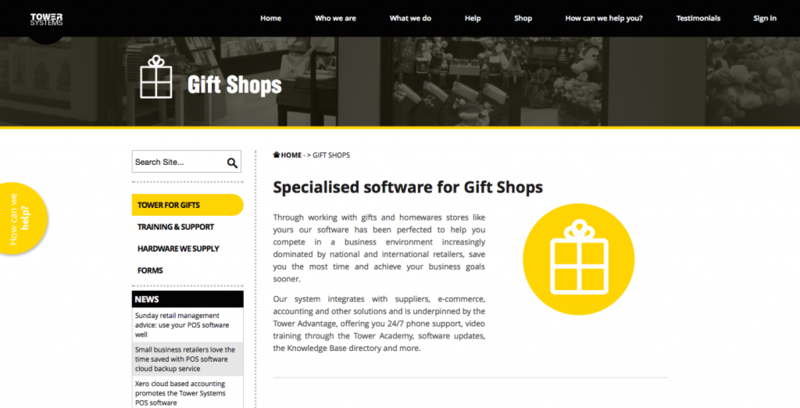 We develop and sell software specifically for: pet shops, gift shops, jewellers, bike retailers, garden centres, newsagents, toy shops, firearms retailers and adult shops. This makes us very different to the likes of MYOB, Retail Express, RMS, Lightspeed, vend and others who offer generic retail management and POS software. Thanks to our specialisation you can expect more from us, more facilities specific to your type of business and more after sales services for your type of business. Like any good small business, our business is personal. That is, from the moment you contact us you will deal with someone by name. You’ll have their mobile number and their email address. This continues when you speak with our help desk – we have real people using their real names, people you can call back and talk to further. You have access to me as the owner of the company too. My number is 0418 321 338 and my email mark@towersystems.com.au. By sharing this I am backing the claims I make – that using my software will help you enjoy your business more, make more money and make your business more valuable. As a customer you would have easy access to senior management. This keeps us connected and demonstrates that we take good personal customer service seriously. If you want to make your independent retail business worth more and more enjoyable to own, give us a call and let us show you want a good POS software company looks like. NSW/ACT/TAS/QLD. Nathan Morrison. 0417 568 148. WA/SA/NT. Tim Batt. 0401 833 917. VIC. Mike Hill. 0423 848 482. See our company website and our company blog for more information. My name is Mark Fletcher. I am the owner of Tower Systems. I believe in small business. My contact details are: 0481 321 338 and mark@towersystems.com.au. A retailer who shifted to our POS software commended last week to us on our comprehensive video training library and the technology platform we developed for providing access to this training library. I love it! I love that I can watch a video over at home. I love that I can get my staff to watch videos of the parts of the software they use. The Tower Systems video training library is a unique and valuable resource, enabling retailers using the software to be able to access training as they want, as they get further into the software. The investment by Tower Systems in creating the training resources reaps dividends for the company as it enables us to demonstrate a valuable point of difference. The Tower Systems sales team provide access for business owners considering the use of our software – to show first hand the value of our training facilities. The free POS software training workshops we run weekly for small business retailers is a genuine point of difference for Tower Systems. This training helps people get more from their software. It boosts their confidence. It also provides an excellent small business networking opportunity as there is plenty of time at the end of a session for participants to talk with each other. The training workshops are free. Tower Systems funds the phone call for audio participation and visual access is via the Net. From the day years ago when Tower Systems announced its commitment to this free training opportunity the company has maintained the free training service, delivering consistently on its promise, proving our motto: we’re here to help. 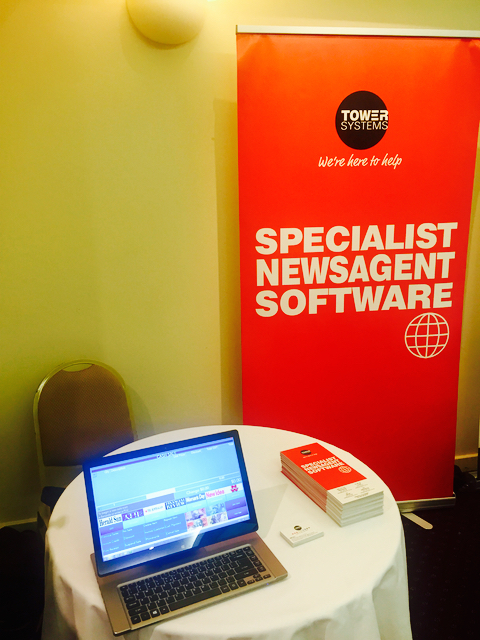 The latest Tower Systems Newsagency Software is on show today at the Lottery Agents Association of Victoria conference in Melbourne. We appreciate the opportunity to be here. We are thrilled to not only pitch terrific industry-standard software used by three times more newsagents than any other, we are proud to show off a strong and consistent corporate image. Image is important to lottery agents and to their suppliers. Our software supports the corporate image pitch through a range of customer touch points. To track everything sold by item detail. To track all products returned. To run your Lay-By program. To create order for replenishment stock. To manage the employee roster. This list is just a start on how to use your POS software well. Too many retailers use their software as a glorified cash register and we don’t like that. There are plenty more ways retailers can use their POS software to run more efficient and valuable businesses. 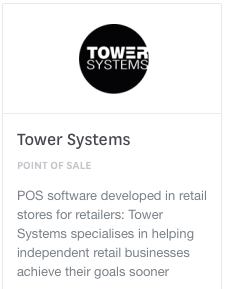 It has been a busy time at Tower Systems as we design, code, test and re-test a suite of new facilities for our POS software, pushing our software into areas beyond what has been traditional for software in the specialist retail channels in which we serve. We are excited for the developments and the business growth opportunities they will bring to our customers. We are a couple of weeks away from our first customer previews – such as the rigorous process new development goes through prior to first glances we offer outside our development lab. Several of the new facilities we have been developing are from insights we have gained inner work forecasting where some retail channels are headed. We are bringing new lift and opportunities to small business retailers to enable them to be even more excited about this futures. We are love what we do an the customers we serve. 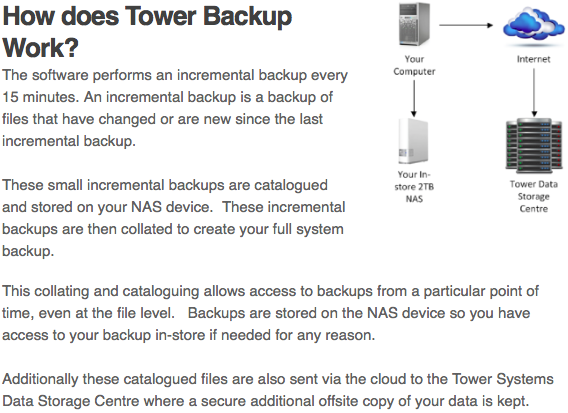 The cloud backup service launched last year by Tower Systems is popular with retailers using our POS software. Backups are seamless, not taking any noticeable time thanks to the smart technology. The result is welcome double protection. While Tower Systems has supported external and automated backup services for years, this new cloud-based service that offers excellent protection to users of our POS software. Run on a subscription basis and backing up to the cloud real-time through the day, this is a comprehensive replacement of the old end of shift backup approach for small and independent retailers. Cloud accounting software company Xero features Tower Systems and its retail management software on the Xero website. This privilege is for software companies which have met compliance requirements set by Xero. Tower Systems achieved this status last year. Since then, we have worked with Xero on communication with small business retailers about the benefits of our Xero integrated POS software solution. We have plenty of retailers using our software and our automated link to Xero … saving them time and money in the management of their financial records. We use the Xero live and automated link for our own retail businesses and can speak to the benefits ourselves. The employee theft advice Tower Systems provides its users goes beyond our smart POS software and well into the area of small business management. 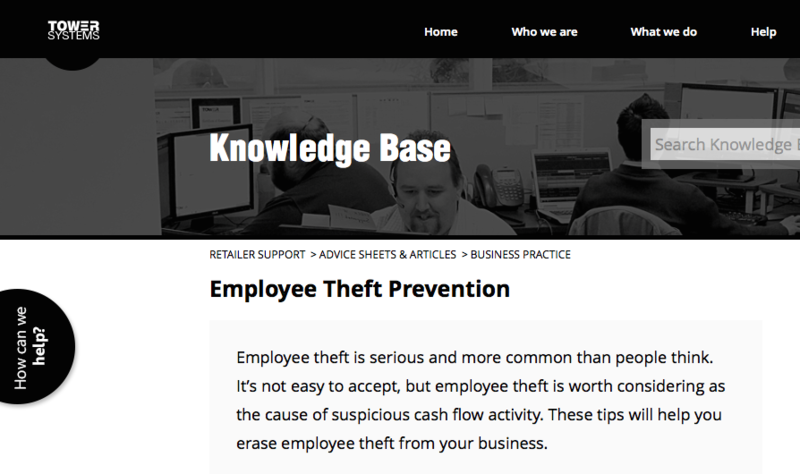 Offered as part of our comprehensive Knowledge Base, our advice is based on years of work with business owners, police in various jurisdictions and prosecutors to bring people to account for theft in retail businesses in which they work. This type of advice covering business management goes beyond what is typical for a POS software company. It demonstrates a level of commitment from Tower Systems that is unique, a commitment of which we are proud. The best feedback we have received is from those following this advice who have successfully detected earlier than otherwise might have been the case theft by an employee, detection that enabled them to gather the necessary evidence to act. Every day here at Tower Systems we are involved with our customers beyond what is traditional for a POS software company. While we are happy to help with POS software queries, we are equally happy to help with business management advice beyond the software. As our motto say, We’re here to help. POS software company Tower Systems has launched free training for small business retailers on The New Loyalty, a fresh approach to encouraging retailers to use loyalty facilities to compete with big business. The New Loyalty offers small business retailers a framework through which to compete with big business in the shopper loyalty stakes. The free workshops offer insights deep into shopper engagement with the loyalty facilities in several businesses. We take participants on a deep data behind the scenes view of business benefits through to shopper behaviour. This is a first ever insight at this level. It is something any retailer in a competitive situation will want to see. While plenty in retail talk about our tough things are, here at Tower Systems we are hearing many stories of success from retailers doing well, retailers growing gross profit in the face of a traffic decline and other retailers growing traffic by using the facilities in the POS software. One retailer told us last week that while traffic was flat with less than 1% growth, their profitability was up 8% thanks to using inventory management tools in our software to guide buying as well as shop floor product placement. Our software is rich in facilities that help small and independent retailers make better quality business decisions, decisions that pursue profitability for the business and enjoyment for the business owner. Each success story we hear adds to our arsenal of stories we can share with others, to encourage them and spread the news of optimism in small business retail. New garden centre software on show! 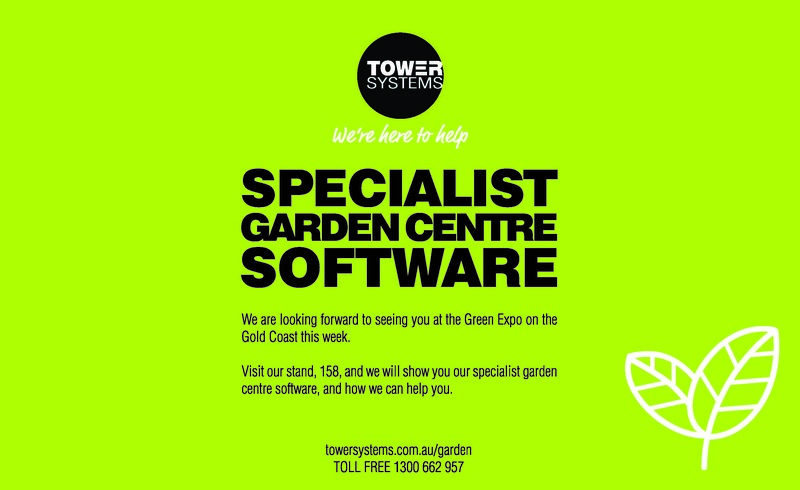 We are thrilled to have our new Garden Centre software on show at the Green Expo starting tomorrow morning. Thank you for helping us switch to your software. I had no idea we could do what we are already doing with your software. For years I thought I had a good software program. The time saving alone pays for itself. Thank you. We love feedback from retailers who switch to us as it encourages us to work even harder at leveraging our point of difference. This latest retailer to switch provided us with comprehensive insights into the weaknesses of the software they have switched from, insights we can leverage in our communication with other retailers in the channel. Making good POS software is one thing. Guiding retailers to get the maximum commercial value from the software is something else. This is where Tower Systems excels. 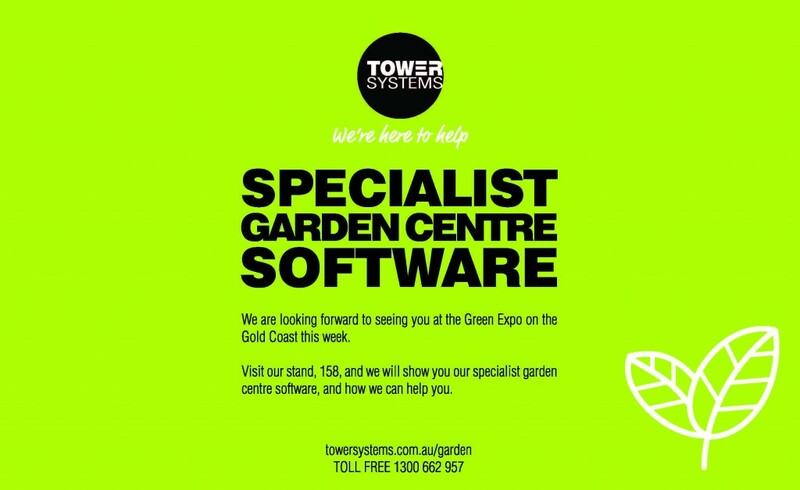 Tower Systems is its Garden Centre software at the NGIQ Spring Green Expo on the Gold Coast onTuesday and Wednesday. The latest version of our software will be on show with new features Garden Centre owners and employees are certain to love. Our stand will feature the full software as well as hardware tools to facilitate easy access from anywhere in a garden centre or nursery. Accessibility from outside the retail space itself is vital – and we will be demonstrating this as the Expo. We are looking forward to meeting with plenty of existing customers at this trade event. If you are from a Garden Centre in Queensland, come see us at the NGIQ Spring Green Expo. Support local community groups through raising awareness and funds. Use your retail space to attract locals on local issues. Leverage your communication channels to support local issues and groups. Offer practical help to local school. Be engaged in local representation on councils and committees. Offer local training opportunities to local school students. If appropriate to your business, seek out local artists. Welcome local groups to raise funds from out the front of your shop. Get your business name on local sports team clothing. Learn and tell local stories. We have many other suggestions to help independent local retailers to better connect with their local community … helping our customers way beyond our software. Tower Systems serves close to 3,000 retailers using our smart POS software.